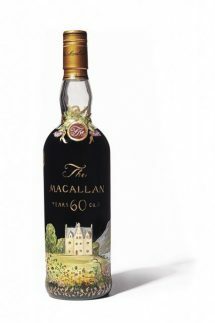 Just as I sit down to write this piece in comes the news that a hand-painted bottle, by Irish artist Michael Dillon, of rare 60 year old The Macallan 1926 has sold at auction in London for a record £1.2 million. This is part of the same collection that broke records in other world auction houses recently, leading to the belief that this one would be the Daddy when it came to sell. Well, “they” weren’t wrong. The difference between this bottle and others in the collection of 25 is that this one is hand-painted while the other 24 had labels by two famous artists. I hope it gets drunk and doesn’t sit in a glass case. If it’s shared with friends as a 2.5cl measure it’ll be almost £43,000 a nip. Ouch. You wouldn’t want to spill any. 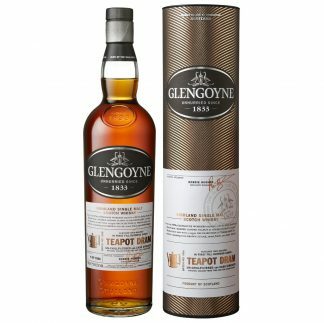 Less expensive but enormously enjoyable is the new Teapot Dram Batch 006 from Glengoyne. I was invited to the live Facebook launch at the distillery the other week (great canapés but on a 5:2 diet day!). We were treated to samples of 10,12, 21 years old and the new Teapot Dram. I sipped the latter but they were kind enough to give me little driver dram pots to take the others home to enjoy another day. I managed to keep out of the way of any cameras, I think, to enjoy listening to brand home manager, Stuart Hendry and Distillery Manager, Robbie Hughes, telling us about the whisky. 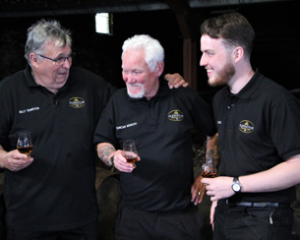 On hand to provide more background were two longstanding employees at the distillery, Duncan McNicoll and Billy Edmiston who remember when the teapot dram was still given out daily. The history is that distillery workers used to be given a dram several times a day, largely to discourage pilfering. At Glengoyne, if they didn’t want to drink it, it was subtly poured into a teapot so that other workers could enjoy a dram at the relevant times of day. This practice carried on into the 1970’s. While other distilleries mainly gave out new make spirit, one manager at Glengoyne used to offer the well matured stuff. Due to more sensible health and safety laws these days, distillery employees have an annual bottle allowance which goes home rather than being consumed at work. The Teapot Dram Batch 006 is a delight, full of sherry wood goodness – rich, raisiny and redolent of almond oil on the nose too. If you add a little water it gets other, nuttier notes, more like walnuts and so much more. The palate is just as rich and all this in a whisky that they say is generally 8 – 9 years old. No added colour either as it’s matured in first fill oloroso casks. It’s a limited edition of some 2,700 bottles for the world and it’s £90 a bottle (59.3% vol) but certainly one I’d buy. As it’s getting near the C-word time of year put it on your present list. https://open.spotify.com/show/1ZhTkiGFqZ7N3rpmU50Per . 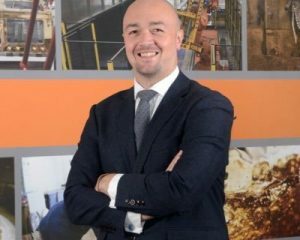 The first one is mainly about detecting counterfeit whiskies and features the Deputy Legal Director for the SWA and a scientist from the Scotch Whisky Research Institute. I’ve written about counterfeit whiskies, detection and prosecution, in training material for the good folks here at The Whisky Ambassador as well as elsewhere and it’s a fascinating subject with a lot of good stories. The podcast is only 20 minutes long and a good listen for whisky fans and anyone else who’s keen on more whisky education. The second podcast may well be befoe the end of the year and it is hoped to do maybe one per month but no set pattern for now Future topics may include a behind the scenes look at the SWA and at some of the upcoming international markets for Scotch Whisky. Now, as I couldn’t get to the Diageo Special Releases tasting a couple of months back they kindly sent me a lovely box of samples of each one and the accompanying book. I liked the “Impeccably Crafted” printed on the box. Perhaps a cheeky reference aimed at those who reckon new and tiny are the only ones doing “craft”? All these are expertly crafted even if they’re not all to your palate’s liking. I didn’t get round to tasting them in time for October’s column but have tried most of them recently except the two Caol Ilas which I’m saving for another time. It would be far too long to include the tasting notes for all 8 others so I’m picking a couple of favourites. 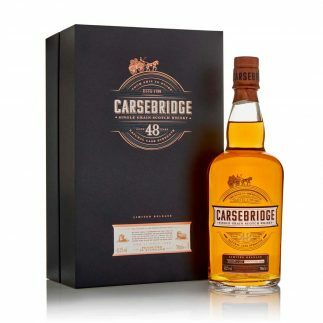 First up, Carsebridge 48 Year Old Single Grain at 43.2% vol. Like the Teapot Dram above, this is one of those “nose and sip then heave a sigh of contentment” whiskies. I loved it. It’s the oldest Carsebridge they’ve ever bottled and comes from refill American oak hogsheads. 1,000 bottles and about £750 a bottle. Carsebridge is a closed distillery. Appearance: Rich old gold with slight amber tints. Quite glycerine or syrup-like in the way it edges down the glass. Nose: Fruity! A bit of marzipan, soft oak and quite strong vanilla; sweet cake spices; cologne and jasmine. With water there are richer, deeper fruit notes; more oak vanilla and even a touch of sulphur; a dab of orange oil; camphor and dark chocolate; sweet, newly-planed wood. Left to sit a while, more orange oil comes through. Palate: Rich, dried fruits; marzipan; herbal; mouth-drying and quite mouth-coating too; spices – savoury and sweet; oak wood. Finish: Medium – long with oak and spiciness; dry but also a residual sweetness. Take your time with this one. 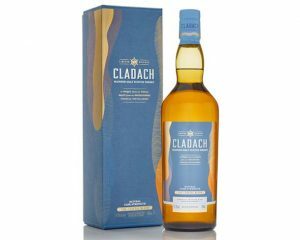 The second Special Release I’m covering this time is the Cladach Coastal Blend (no age statement) at 57.1% vol and drawn from first fill US oak ex-bourbon wood;, refill US oak hogsheads, refill European oak butts and ex-bodega European oak butts. 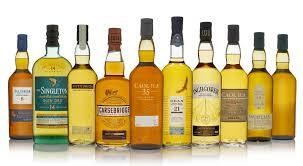 The whiskies used come from Caol Ila, Clynelish, Lagavulin, Oban, Inchgower and Talisker. You might expect a bit of peat and smoke, then. Appearance: Warm, sunshine gold with brass highlights; clingy tears but close together indicating some younger whiskies. Nose: Some peat and smoke, sweaty wool sock. Some oak sweetness and fresh, sea air notes; touch of candy floss, creamy and a slight hint of tar. With water, it’s more rounded less sweaty and more soft smoke and wood. Sweet wood shavings. More depth to the fruity notes – light fruits like sultanas and apricots. Cooling embers; citrus peel. They say “faintly fruity”. I’d ignore the faintly. Finish: Long and drying but sweetness on the tongue too; smoke and tar but not harsh. Toasted barley persists. Warm, mellow and rounded. Very finely judged. The Singleton of Glen Ord 14 Year Old had more going for it on the nose – including vanilla ice cream, baked apples and demerara sugar; ginger syrup; raisins and fudge with milk chocolate – than on the palate but a decent dram. The Lagavulin 12 Year Old packs a punch, as you might expect but also has notes of flowers, grass and treacle toffee. The Inchgower 27 Year Old has fruits and spice on the nose as well as vegetal notes; cough sweets, salted peanuts and soft “green” hazelnuts; baked apples and white chocolate. Pittyvaich 28 Year Old is a paler creature but not in terms of nose. Wood varnish, spices, light fruit sponge; the soaking juice for cake fruits; some nuts and coconut, honey and wax. It didn’t deliver so much on the palate for me. The Oban 21 Year Old I certainly enjoyed with its aromas of salt air and fruit, green peppers then mango and sugar syrup. Toffee apple and lanolin with some smoke and char. On the palate were additions of toasted nuts and dark chocolate. The Talisker 8 Year Old was definitely an in-your-face whisky but not at all harsh in terms of the rich smokiness. Plenty more going on there to make it worth trying. 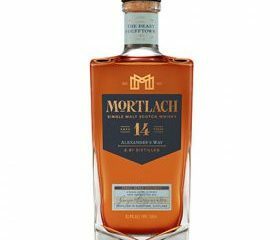 I’d been waiting weeks to try the new Mortlach expression from Diageo – Alexander’s Way 14 Years Old/43.4% vol for travel retail only. It arrived this week and, sadly, the little bottle hadn’t been fully sealed so some had leaked out in the package. Now, I’m very fond of a Mortlach and they use sherry wood well there but I wouldn’t class this as one of my favourites. In fairness, it may have been affected by the leakage though there was enough left to nose and taste. It has glowing amber and orange colouring and on the nose the first hit was golden syrup but a fresh, airy note too. Barley sugar, dried citrus peel and golden raisins followed with dark honey. Some nice spices like clove and ginger and more savoury spices on the palate. It’s not a mighty character you might normally expect from here. A perfectly acceptable dram but I think I’ll need to try it again before making up my mind. I do have other samples from R&B Distillers and from Douglas Laing but will hold them over to December. I’m hoping to get the column done before Christmas but if the festive season preparation gets too frantic, I’ll definitely be back before the New Year. Get those festive dram lists going now. Maybe try one you haven’t tried before each day of the month – just like an advent calendar! So, for the next month, Happy Dramming.